President Donald Trump tried to set the record straight Wednesday after people on social media decided photos of first lady Melania Trump looked like a body-double during the couple’s March 8 trip to Alabama. “GUYS THAT IS NOT MELANIA,” Twitter user @redpainter1 wrote to caption photos of the president and first lady March 8. 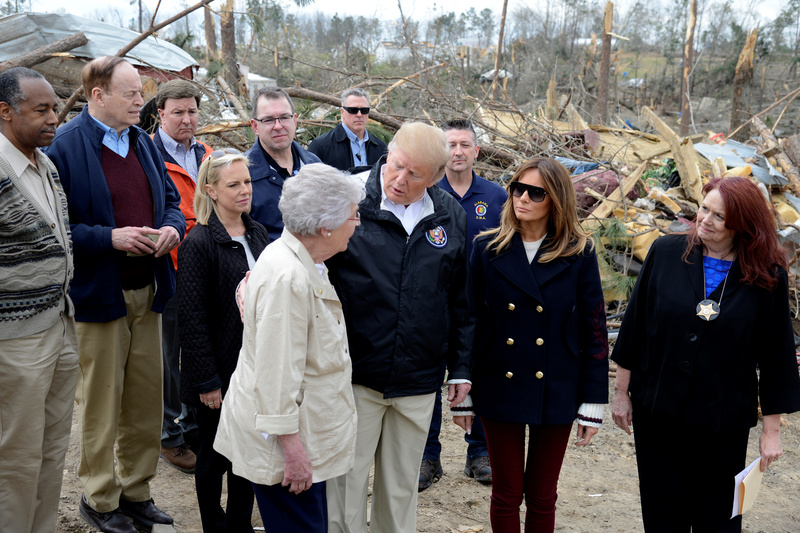 Trump and the first lady flew to Alabama on March 8 to honor the 23 victims who were killed after tornadoes ravaged the area. The first lady body-double theory traces all the way back to the early days of Trump’s presidency in 2017, according to People. Twitter user @JoeVargas tweeted a video of the first lady wearing oversized sunglasses and standing next to the president Oct. 18, 2017. “This is not Melania. To think they would go this far [and] try [and] make us think its her on TV is mind blowing. Makes me wonder what else is a lie,” he wrote. The White House first responded to the controversy in 2017. “Once again, we find ourselves consumed with a ridiculous non-story when we could be talking about the work the first lady is doing on behalf of children, including the opioid crisis that is gripping our nation,” the first lady’s press secretary Stephanie Grisham said in 2017, according to AL.com.